At ABC Family Chiropractic and Wellness, your chiropractor in Arlington has incorporated state of the art technology in our “Insight Subluxation Station” which is a space foundation certified technology for analysis of the nervous system. We have Karen Potter, a Nutrition Educator, on board to help educate the patients and the community about Healthy Eating and Lifestyle choices. I first established my practice in November, 1986 in Arlington at 22 Mill St. I chose Arlington because it is conveniently located in West Suburban Boston and is surrounded by Lexington, Cambridge, Belmont, Winchester and Medford. For the first 22 years the practice was called Potter Chiropractic. In 2008 we changed the name of the practice to ABC Family Chiropractic and Wellness. ABC refers to “A Better Choice”. The Wellness aspect reflects our commitment to balanced health through chiropractic, diet and nutritional supplements, and exercise. The philosophy of our practice is that the body has an inborn ability to heal itself. By receiving chiropractic adjustments that healing ability is enhanced and optimized. 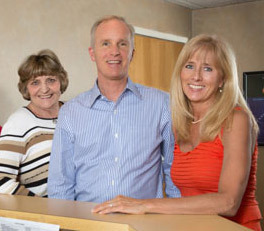 Our mission is to help as many people regain and maintain optimal health. My vision for chiropractic is to make it utilized and as acceptable as dental care. As your Arlington MA Chiropractor, our practice members also have access to Robin Sessa, an acupuncturist who practices in our clinic space. Acupuncture has been found to complement the chiropractic adjustment and our patients have received great results from adding acupuncture along with their spinal adjustments. 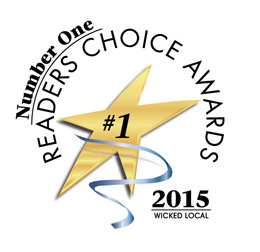 ABC Family Chiropractic and Wellness cares about the people of Arlington and the surrounding communities. Our patients are loving and caring and the reason why I love being a chiropractor. Every fall the practice members donate bags of canned goods to the Arlington Food Pantry and support me in my annual Harvest Walk for HOPE, which helps the poor in New England and worldwide. Your body is a self healing organism. It was designed and programmed to heal itself. Did you know that you have a brand new liver every 24 days? In that time, every cell in your liver dies and is replaced by brand new cells. Amazing! Your blood supply is completely renewed every 4 months! Every 5 days your body rebuilds your stomach lining. Every 11 days you have new taste buds. Every night when you change your clothes to go to bed, you literally brush off thousands of dead skin cells onto the floor, but it’s okay because you are constantly making new skin cells. My point is that your body is always in a state of change and repair. In order to do that, however, it follows a very specific program. When we give someone a spinal check-up, the goal is to make sure the body is following its program. If it isn’t, it’s absolutely not okay, and we attempt to discover why it isn’t doing its job. Your nervous system – which is your brain, spinal cord, and all the nerves of your body – runs your program. It is the master control computer that directs and organizes every cell in your body. So, if your nervous system is able to communicate effectively with every organ, tissue, cell, nook, and cranny of you, then you should have the most wonderful, fantastic, amazing health you’ve ever experienced! That is what I consider “normal”. If something interferes with your nervous system, then it can’t run your program. Then the body won’t do what it was designed to do (heal itself and keep you healthy), and it starts doing it’s own thing. Nerve interference can often be the reason for your health problems. My job as a Arlington MA Chiropractor is to restore law and order. The goal in adjusting the spine is to restore proper nerve function and let your body work with no interference. It’s as simple as that! Contact ABC Family Chiropractic and Wellness today to schedule an appointment with your Arlington MA Chiropractor.